As part of GJEL’s state-by-state drunk driving laws and driving fatality research, Steve Gursten, a partner at Michigan Auto Law, recently shared these updated statistics about drunk driving and auto accidents in Michigan. Steve has been very active in promoting efforts to reduce drunk driving and car accidents in Michigan. The text below is his alone. These latest statistics analyze car accidents and wrongful deaths from 2009. The statistics include both car accidents that result in personal injuries and drunken driving wrongful death fatalities. These are the latest statistics available. 35 percent of all car accident fatalities are alcohol related – A total of 806 fatal car accidents occurred in Michigan in 2009. Of those fatal crashes, 277 (34.4 percent) were alcohol-related. 299 alcohol-related car accident deaths – A total of 299 people died in Michigan alcohol-related fatal crashes in 2009. Car accidents involving drinking are worse – Crashes involving drinking tend to be more serious than non-drinking crashes. Likelihood of death or incapacitating injury – You are eight times more likely to die and almost five times more likely to sustain an incapacitating injury if you’re drinking and driving, or in an accident with a drunken driver. 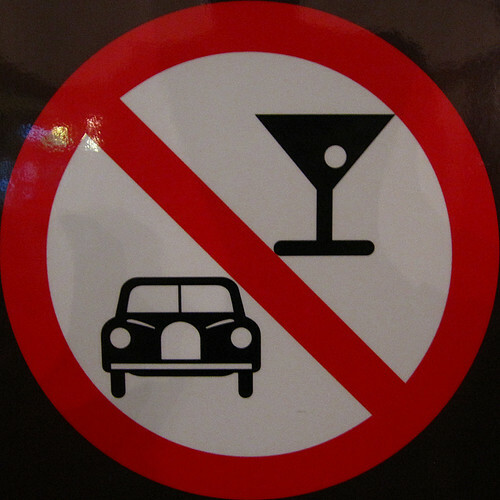 Single-car Accidents – 66.4 percent of all alcohol-related fatal crashes involved only one vehicle. Remember, under Michigan’s No Fault Act, even an at-fault driver can recover no fault insurance benefits. An experienced no fault insurance lawyer should be consulted. Even people who are drinking and walking can be seriously injured and killed – Of the pedestrians killed in 2009, 39 deaths were the result of a “had-been-drinking” crash and 30 (76.9 percent) of these pedestrians had been drinking. Almost all motorcycle accident deaths were due to drinking and driving – Of the motorcyclists killed in 2009, 29 deaths were the result of a had-been-drinking crash and 27 (93.1 percent) of these motorcyclists had been drinking. All of the fatal bicycle accidents (three) involved drinking – two of the bicyclists were drinking themselves and the other was hit by a drunken driver. All of the snowmobile accident fatalities in Michigan involved drinking and driving – The six snowmobilers who died had been drinking. Crashes peak on the weekends – Drinking and driving accidents that involved injury peak on Saturday and Sunday, between midnight and 2:59 a.m. Injuries are highest in the summer – Injury auto accidents involving people who had been drinking were the highest in June (414) and July (389). That’s an average of 13 car accidents a day over a period of two months! July is the worst month for fatal auto accidents – The highest number of fatal car accidents involving drinking and driving was in July, with 31 fatalities. Late night is the worst time for fatal crashes – The midnight to 2:59 a.m. time period had the highest rate of fatal crashes involving drunken driving (75.5 percent), while 9 to 11:50 a.m. had the lowest (4 percent). Fatal accidents also peak on the weekends – Not surprisingly, the weekend had the highest proportions of alcohol-related fatal crashes. Personal injuries are worse in drunk driving accidents – The severity of injuries is much worse for drivers and passengers who had been drinking. More men drink and drive, and crash – Of the 10,494 gender reported drinking drivers involved in auto accidents, 7,881 (75 percent) were males and 2,613 (24.9 percent) were female. Many drinking drivers in car accidents are younger – 2,941 (28 percent) of the (gender reported) drinking drivers in crashes were age 24 and younger. The tri-county area near Detroit had the most auto accidents involving drunk driving as well as drunk driving fatalities. But remember, the population is much higher in Wayne County, Oakland County and Macomb County. So the actual ranking, according to number of fatal crashes per capita, was not as high as many other Michigan counties. Wayne County – Wayne County had by far the most drinking and driving accidents, with 1,648 crashes involving drivers who had been drinking and 52 drinking and driving fatalities. Wayne County also has the highest population in all of Michigan, with busy urban cities like Detroit. The Wayne County rating was 42 out of 64 Michigan counties. Oakland County – There were 1,058 crashes involving drivers who had been drinking and 11 fatalities. There’s lots traffic that accompanies cities with large business concentrations like Southfield and Farmington Hills, as well as concentrated areas full of bars like Royal Oak. The Oakland County rating was 61 out of 64 Michigan Counties. Macomb County – Macomb County had 795 car accidents involving drinking and 15 drunk driving fatalities. Here, there are crowded metropolitan suburbs like Sterling Heights and Warren. The Macomb County rating was 54 out of 64 Michigan Counties. On the other end of the spectrum was Luce County, with four crashes involving drunken drivers and zero drunken driving fatalities. Luce’s population is 6,518 compared to that of Wayne County, 1,925,848 people. Again, the chart breaks down the numbers by the fatal crash rate per 1,000 people. No. 1 (the highest rate) was Mackinac County. There were 19 counties coming in at 64th place, including Huron, Oscoda and Clinton Counties. Looking at the statistics, it doesn’t appear there is any rhyme or reason as to why more drunk driving deaths occur in one county versus another. For example, less-populous northern Michigan counties at the top and the bottom of the list. Steven M. Gursten, a Michigan car accident lawyer, is recognized as one of the nation’s top injury lawyers. He and the other attorneys at Michigan Auto Law focus their practice on handling serious car accident and truck accident injury cases. Please refrain from using the word “accident” when speaking of predictable outcomes. If an outcome is predictable, it’s preventable. If an outcome is preventable, it’s not an accident. The incident in question might be unintentional, but it is not accidental. More appropriate terms are crash, wreck or incident. There is no such thing as a drunk driving accident.